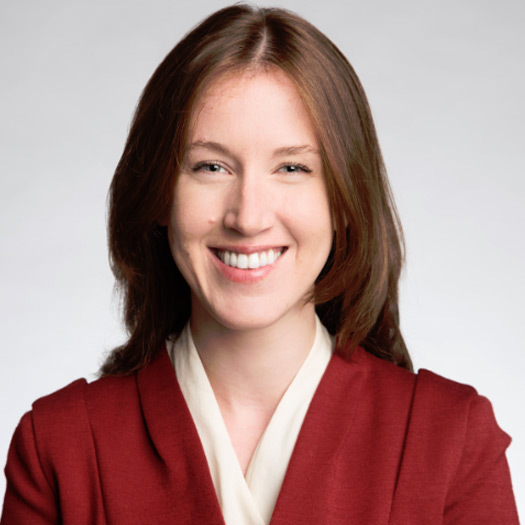 Elaine has almost a decade of experience working in government relations, which has given her the versatility to interpret policy issues, provide communications advice, and build advocacy plans for a range of organizations. At CHG, Elaine provides counsel to a diversity of clients in the health, information technology, and not-for-profit sectors. Elaine is in regular contact with political and departmental officials from the Prime Minister’s Office, Privy Council Office, Finance, Health, ISED, ESDC, and Indigenous Services, and has developed a robust network in the House of Commons and Senate. A trained communicator, Elaine regularly attracts financial support, endorsements, and media attention for every organization she works with. Elaine has successfully raised organizations’ local, provincial, and national profiles by creating strategic partnerships with influencers working in politics, business, and government. Elaine worked for the European Union during the negotiation of the European Union-Canada Comprehensive Economic and Trade Agreement (CETA). She has experience working as a team to advocate for the interests of companies while balancing public interests through the development and implementation of a comprehensive public affairs strategy. In addition, Elaine has worked as a political staffer in two levels of government, and regularly contributes to federal, provincial, and municipal election campaigns.